This professional Jax Wax Exterior Detail is contains everything that you need to detail and transform your vehicle into Showroom Fresh condition. 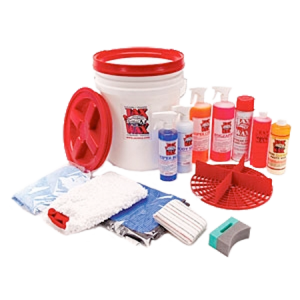 This inclusive car care kit also contains everything that you need to easily maintain it as well! This Jax Wax Exterior Detail Kit kit has been put together by professionals to ensure that you have everything that you need in one place instead of searching and purchasing all the car care products you need separately, and at a savings. 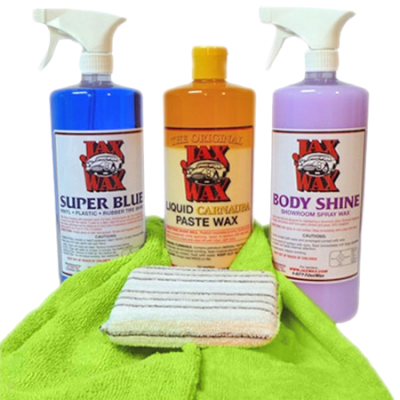 Whether you are new to Jax Wax car care products and just want to try and test them, or a veteran Jax Wax user, this kit is ideal is ideal in either case for creating an exceptional vehicle appearance. Many customers carry the kit with them when going to shows for easy “touch up”.Now you can get fast, commercial-quality results by using the same products the “pros” do – and by doing it yourself! 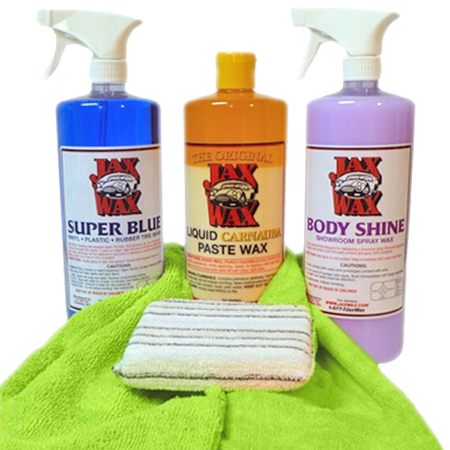 The products in the Jax Wax Exterior Detail Car Care Kit comes in 3 sizes – 16 oz, 32 oz and Gallons. ** Gallon Kit comes with 3 bottles for easy dispensing of products! 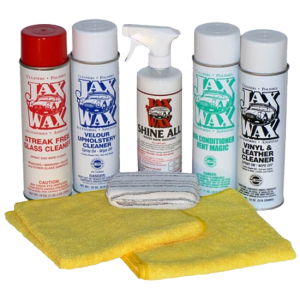 Be the first to review “Jax Wax Exterior Detail Kit” Click here to cancel reply.